Wonderfully maintained and tastefully updated one bedroom condo in beautiful, upscale and secure building. Sunny and bright with an open floor plan and high ceilings. The kitchen has maple cabinets, all new stainless steel kitchen appliances and granite counters. Large master bedroom with double closets and Jack and Jill bath with jetted tub. Newer paint, new hardwood floors, new appliances. One parking space and storage area in garage. Fire sprinklers in unit, gas log fireplace and convenient gas hookup for grill on spacious covered patio. In unit laundry room, large enough for full size washer and dryer. Beautiful social room with outdoor courtyard, plus work out facility with all new equipment. Cherry Creek bike path across the street and ample parking on the street. Walk to Cherry Creek Mall and all North Cherry Creek shops and restaurants. The best in Urban living. 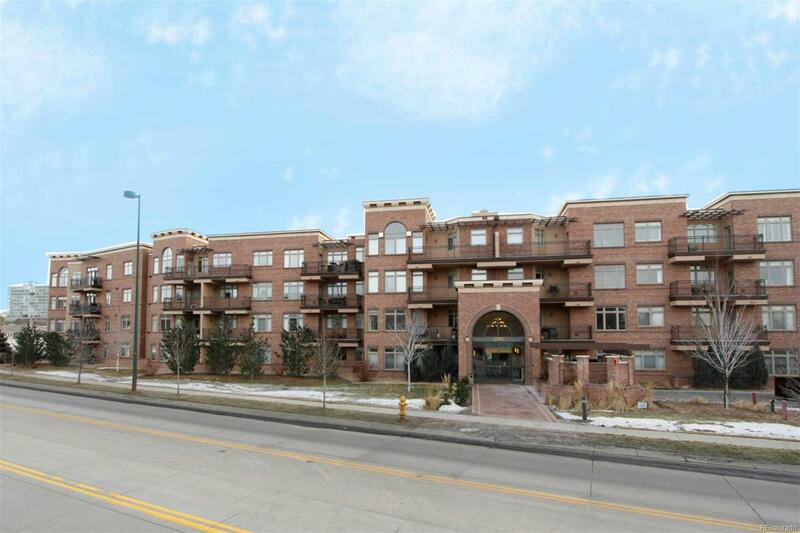 Offered by Kentwood Real Estate Cherry Creek.